Poverty is not only about a lack of resources but is primarily caused by broken relationships with God, self, others, and creation. Poverty alleviation, then, must center on relational reconciliation. Efforts that focus on relief over development can hurt the poor more than it helps. 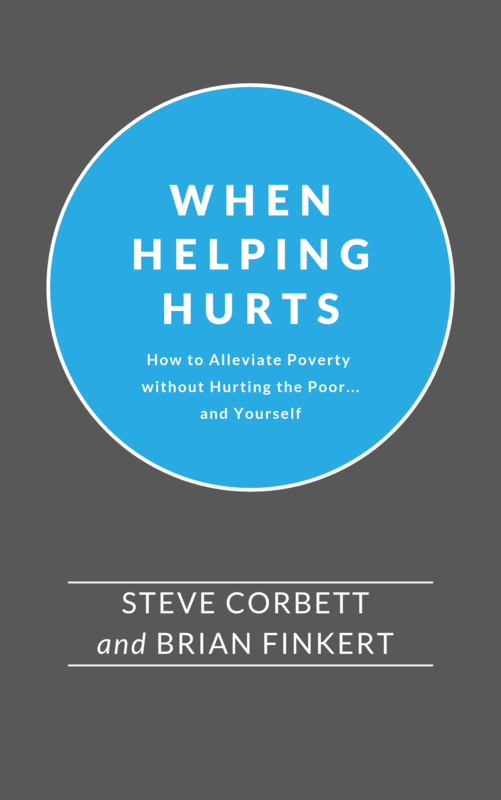 Understanding the true cause of poverty prevents helpers from treating symptoms only or providing relief for the wrong problems. When understood, the correct intervention of relief, rehabilitation, or development can be humbly offered. In the process, the materially poor are equipped and empowered to use their God-given talents and gifts to glorify God in work, while allowing their families to enjoy the fruit of that work. 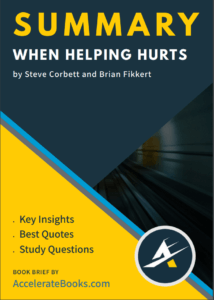 The foundation concepts, principles, and strategies presented in this book will help pastors, missions leaders, and anyone interested in poverty alleviation to maximize their efforts in helping the poor. Steve Corbett is the community development specialist for the Chalmers Center for Economic Development and an assistant professor in the Department of Economics and Community Development at Covenant College. Previously, Steve worked for Food for the Hungry International as the regional director for Central and South America and as director of staff training. Steve has a B.A. from Covenant College and a M.Ed. in adult education from the University of Georgia. Dr. Brian Fikkert is a professor of economics and the founder and president of the Chalmers Center at Covenant College. Dr. Fikkert earned a Ph.D. in economics from Yale University, specializing in international economics and economic development. He has been a consultant to the World Bank; he is the author of numerous articles in both academic and popular journals and co-author of five books. Prior to coming to Covenant College, he was a professor at the University of Maryland – College Park and a research fellow at their Center for Institutional Reform and the Informal Sector.